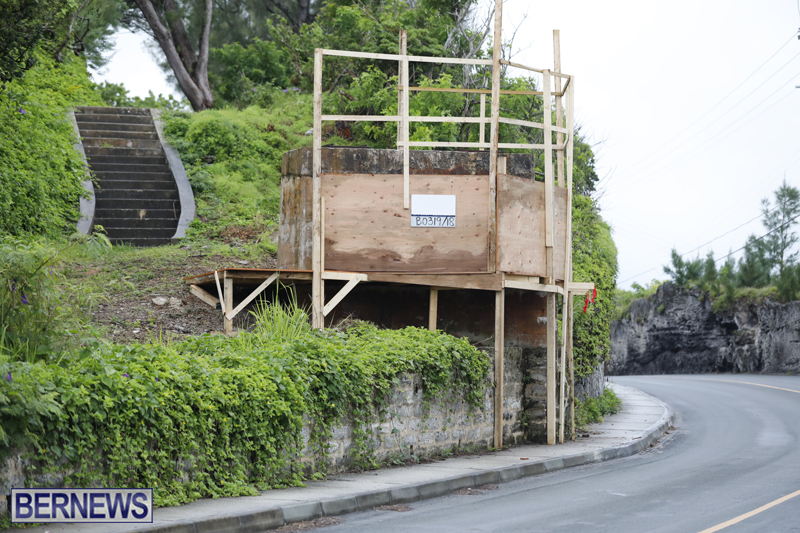 A bridge project that will harken back to the golden age of Bermuda’s railway has started. 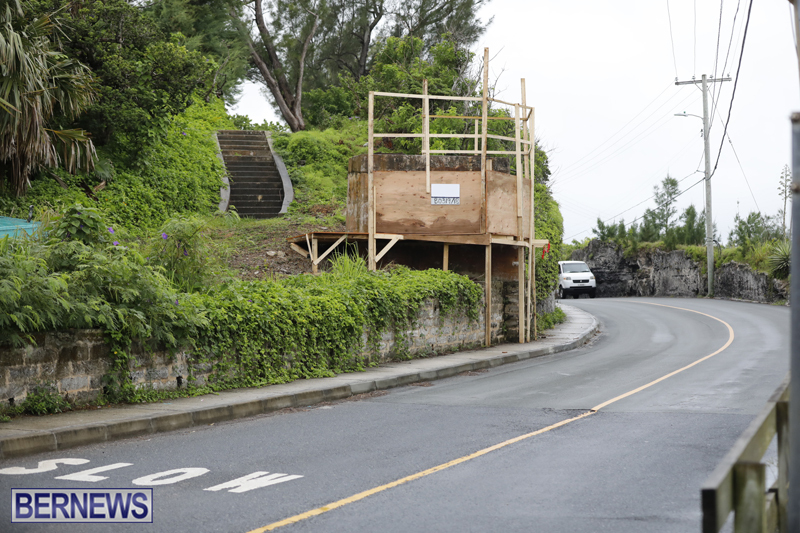 Friends of the Bermuda Railway Trail [FBRT], which has already won acclaim for the Bailey’s Bay and Store Hill bridges, are behind the idea which will eventually see it span across Flatt’s Inlet. 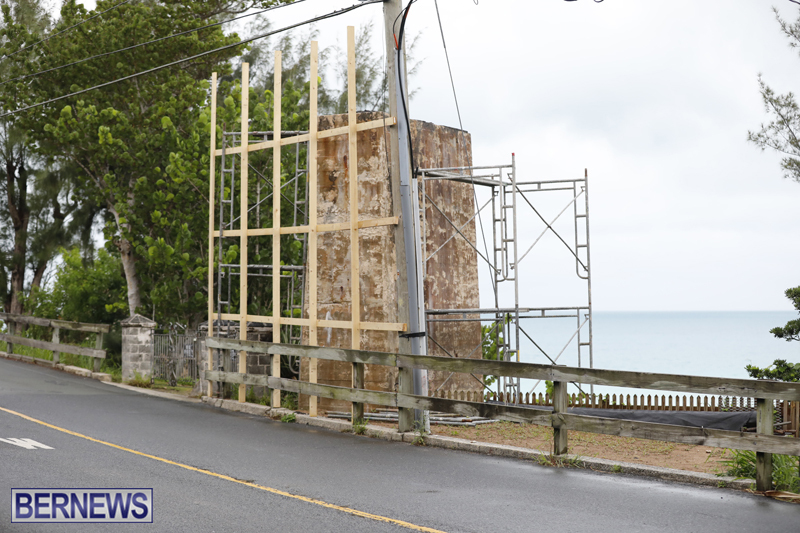 The first phase is underway after the group received its building permits last week and the project began on the two pylons on North Shore Road near Police Beach. Tucker Murphy is president of the FBRT, and his dad, Mike Murphy, is the chairman. The group is also relying on volunteers to keep costs down. “We did put together bridges,” he said. “We have four together out of the six in the first phase,” Mike said volunteers put together those segments and are in Penhurst Park. Mike credits his son, and his daughter Laura Murphy, for spearheading the Flatt’s Bridge project. Mike said BFRT are just $200,000 shy of its $2 million goal. “We’re 90% together for both phases for our budgeting, so we’re in pretty good shape.” He said much of the fund had been raised through primary sponsors Ironshore, Arch Capital, Brian Duppereault and the Stempel family. He said the response from the community is appreciative. “We think it’s very good for tourists,” Mike said. “The people who support tourism – The BTA and the Hotel Association – they’re on board. Where can we contact someone about volunteering? Off topic, but there is drilling activity at the old swingbridge. Maybe plans for a replacement to the bailey bridge at last? This Bermudian is proud of what you are doing and I thank you!